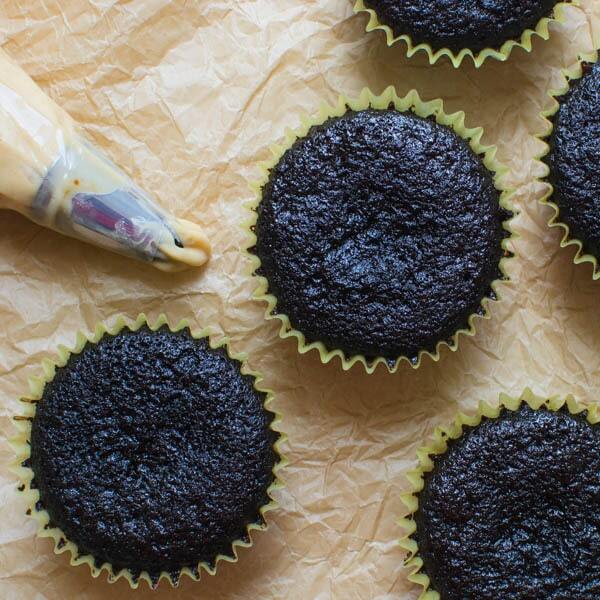 If you love Turtle Cupcakes, this recipe is for you. It’s a small batch cupcakes recipe that can be doubled or quadrupled if you need more. 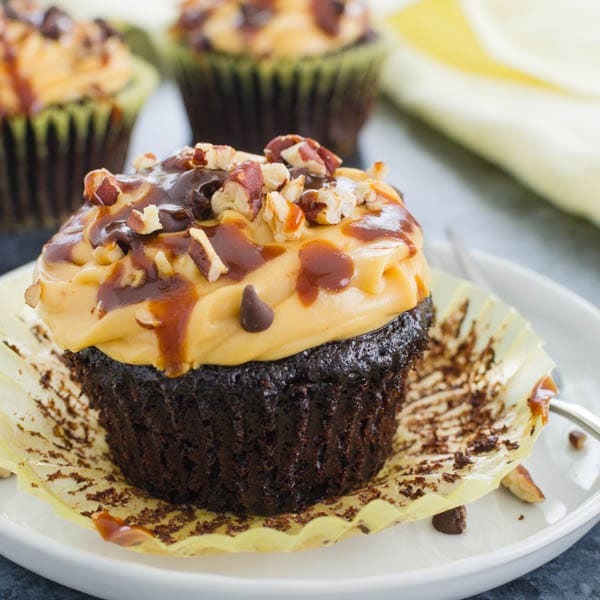 With caramel cream cheese frosting, pecans, chocolate chips and caramel drizzle, Small Batch Turtle Cupcakes are worthy of a celebration. I’ve been meaning to share these Small Batch Turtle Cupcakes with you for a while now — but other things (my daughter’s college graduation) took precedence and these delightful turtle cupcakes got pushed to the side. A shame because these turtle cupcakes really deserve a shining spotlight and marching band. It was Scott’s birthday and turtle cake is his favorite. Normally, I would make a full size triple layer behemoth in celebration, but there was no one in town to celebrate with. Emily had school commitments, my parents were entertaining in the Keys and my cousin was ready to have a baby at any moment… But it was his birthday, and these are his favorite…and it’s the only reason I bothered with a small batch of something so ridiculously delicious… left to our own devices Scott and I would have eaten an entire cake Not good. 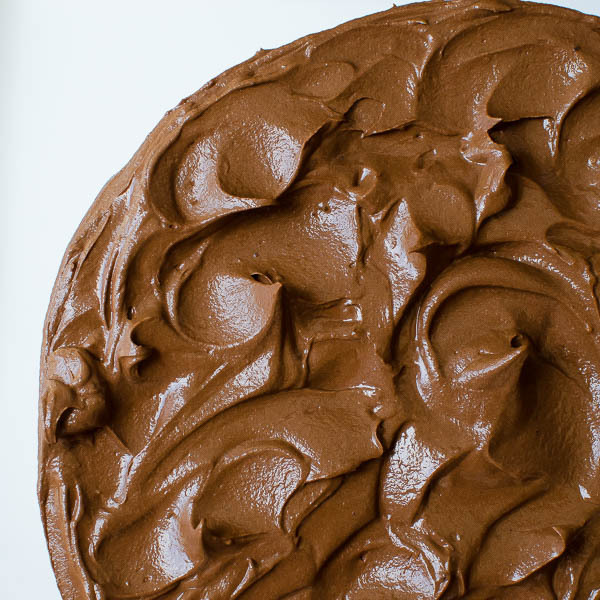 Before you get discouraged that you may want more than just a few cupcakes — rest assured this recipe can be doubled — or quadrupled for a normal crowd-sized cake. That said, I thought there was something fun about making small batch cupcakes… kind of like those tiny food cooking videos. So, this wasn’t quite as tiny as those mini food videos, but there was something strangely comical about making cupcakes from scratch in a cereal bowl. 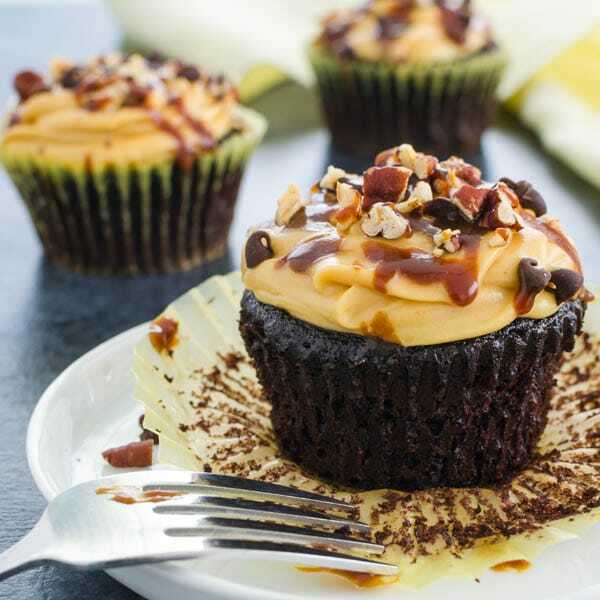 The “turtle” in Turtle Cupcakes comes from the combination of caramel, chocolate and pecans. For this recipe, I scaled down my classic cream cheese frosting and embellished it with a bit of homemade caramel sauce. 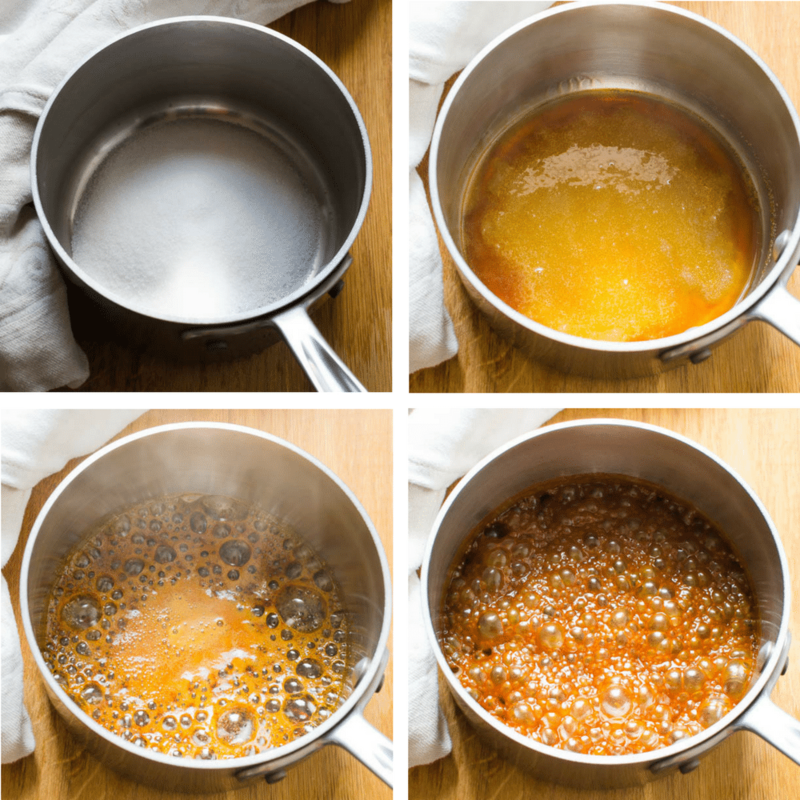 Caramel sauce is really easy to make, but it requires a watchful eye. Sugar can burn easily and it goes from a light golden color to a deep amber faster than the Trump-meister swaps wives. So stay close and when it achieves your desired doneness, add the cream. It will hiss and spit madly, but that’s normal. 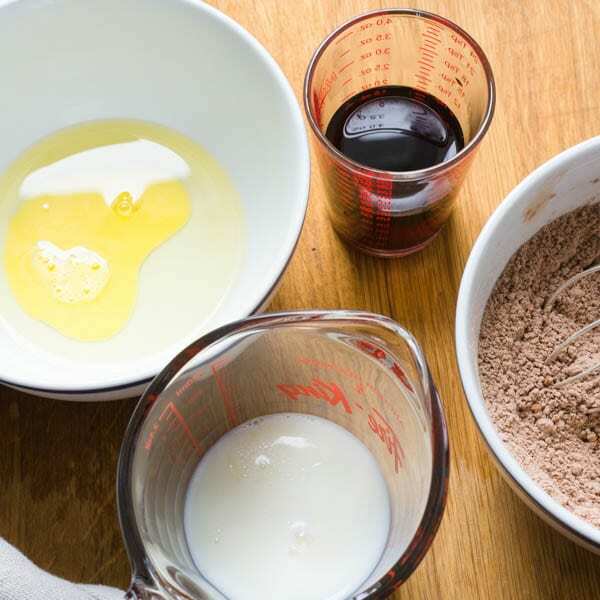 When the mixture calms down, whisk it until it’s smooth and set aside to cool. 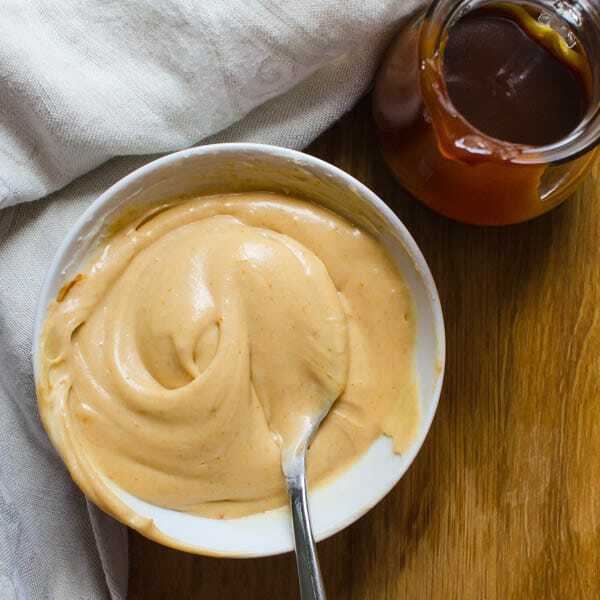 This caramel is rich and creamy with dark toasty notes that happen to be sublime over ice cream or drizzled over an apple tart, so if you have some leftover, keep it for another dessert. 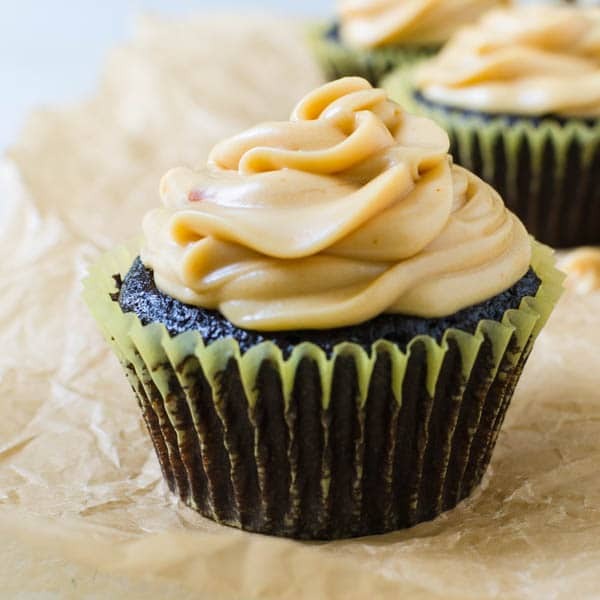 A few tablespoons of caramel will transform the classic cream cheese frosting into a sultry, lush caramel kissed garnish. You can spoon the frosting onto the cupcakes, or if you’re feeling fancy, use a piping bag and star tip to garnish your turtle cupcakes like a pro. 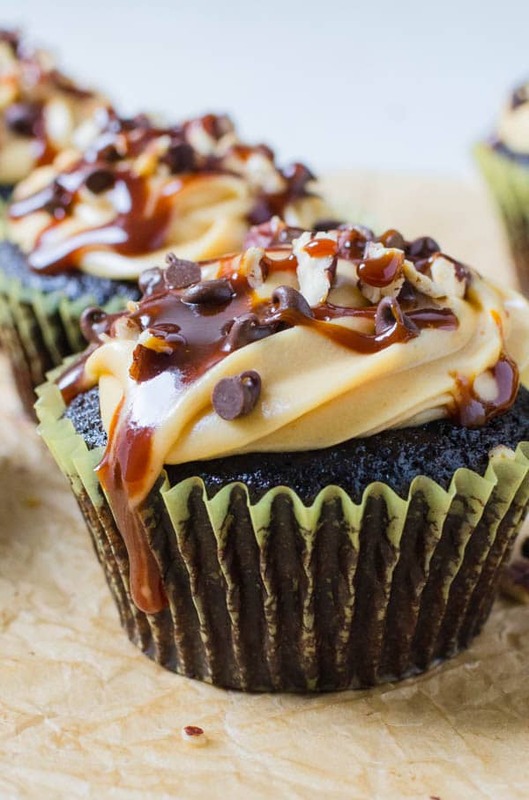 But don’t stop with the caramel cream cheese frosting… Toasted chopped pecans, mini chocolate chips and an extra drizzle of caramel sauce take these small batch chocolate cupcakes to the moon and back. Scott wasn’t expecting a cake because it was just the two of us on his birthday night, but you should have seen the smile spread across his face when I brought these out… Frankly, I probably should have made more, because he scarfed down two of them one after another without hardly taking a breath. Sometimes you don't need 24 cupcakes. Sometimes 6 is plenty... 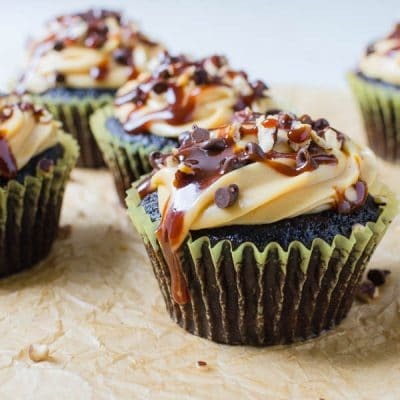 These deeply chocolatey cupcakes with a sweet caramel frosting is garnished with toasted pecans, chocolate chips and a bit of caramel drizzle. 1/2 cup brown sugar not tightly packed -- just loosely scooped into the 1/2 cup measure. 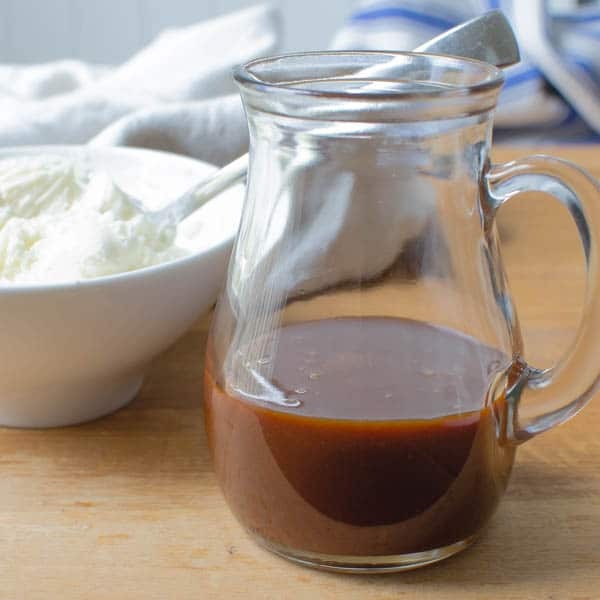 6 teaspoons caramel sauce (recipe given above. Preheat the oven to 350°. Line a muffin tin with paper liners and spray with vegetable spray. Set aside. 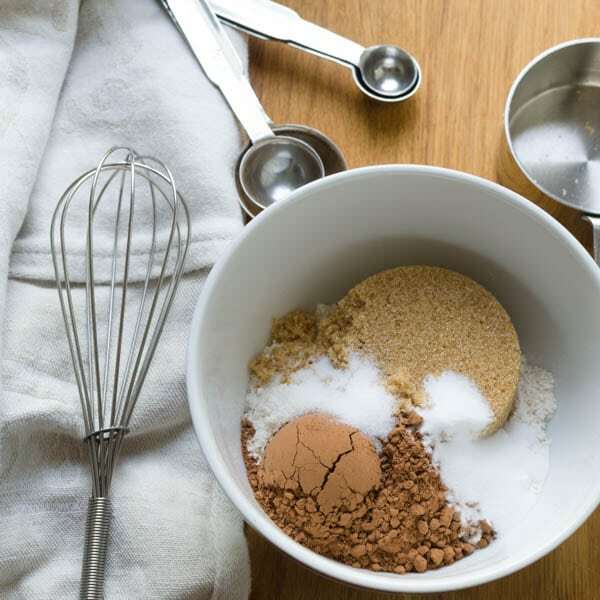 In a small bowl combine the flour, brown sugar, cocoa, salt and baking soda and whisk until well combined. 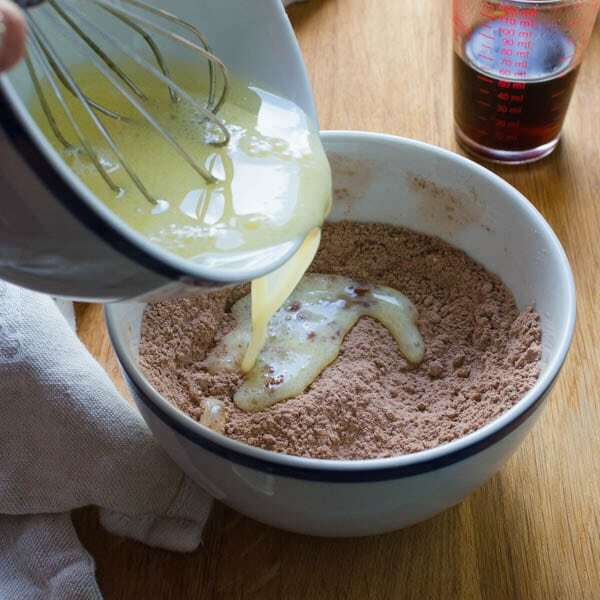 In a small bowl whisk together the egg, vegetable oil and buttermilk and add it to the dry ingredients. Stir together until just combined and then whisk in the hot coffee. Batter will be thin. 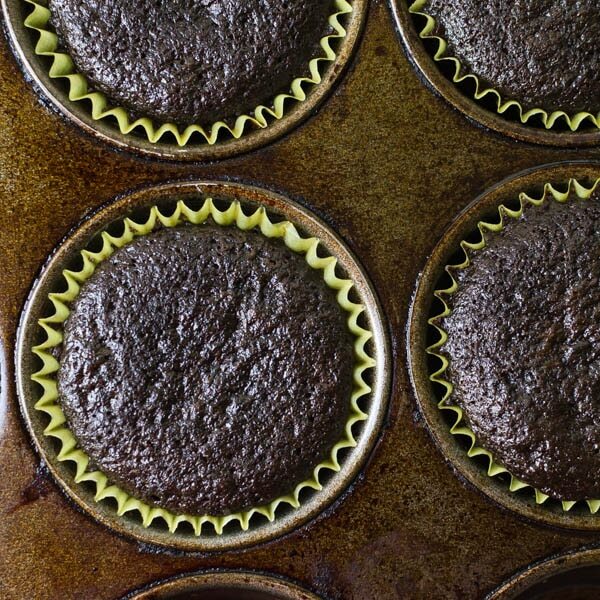 Divide the batter among the muffin cups and bake for 16-17 minutes or until the center of the cupcakes springs back when lightly pressed. Remove from oven and let cool to room temperature. While the cupcakes bake, in a small saucepan add the sugar and shake the pan around until the sugar is in an even layer at the bottom of the pan. Place the pan over medium high heat and let the sugar start to melt without stirring, about 2-3 minutes. When sugar begins to melt, gently stir any granules that haven't melted into the the melted part. Sugar will go from a clear to golden color over the course of a few minutes, but goes from golden to dark very quickly. Take it just to the edge of burnt without going over -- should be a dark amber color. 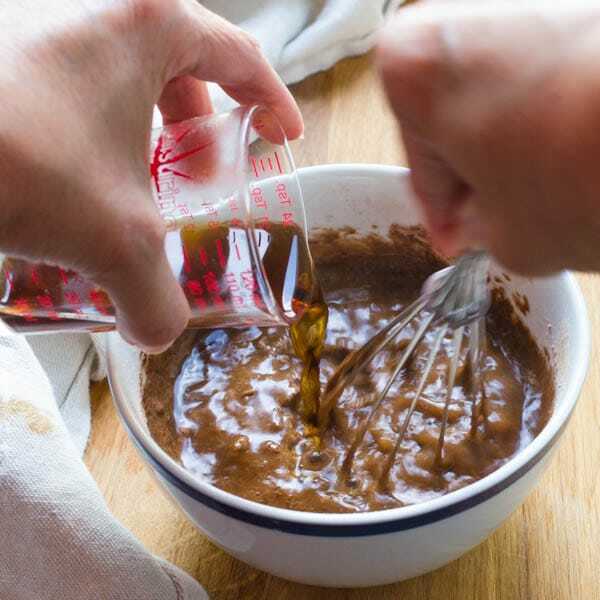 When caramel sauce has cooled, stir 2-3 tablespoons of caramel into the frosting until well combined. Frost the cupcakes with the frosting, or fit a pastry bag with your favorite icing tip and pipe the frosting onto the cupcakes. Sprinkle the cupcakes with chopped pecans, mini chocolate chips and a drizzle of remaining caramel. Note, you'll have a little leftover caramel sauce, store it in a glass container in the refrigerator. It's great over ice cream or drizzled over apples -- just microwave for a few seconds to heat it up. 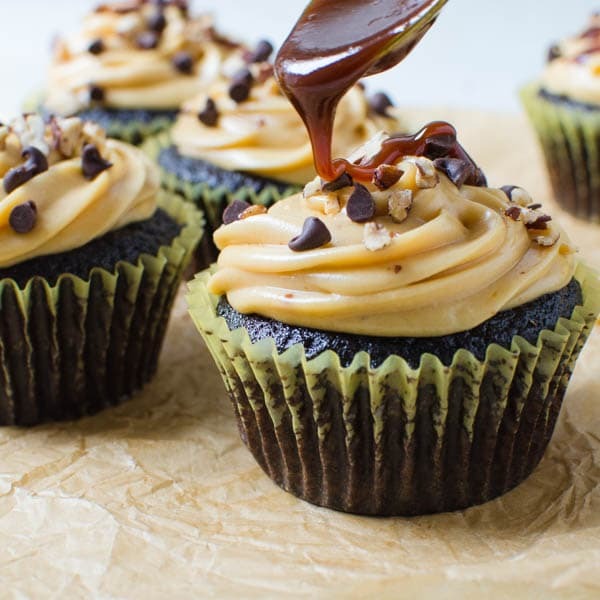 Chocolate and caramel are a match made in heaven and these amazing cupcakes prove it! 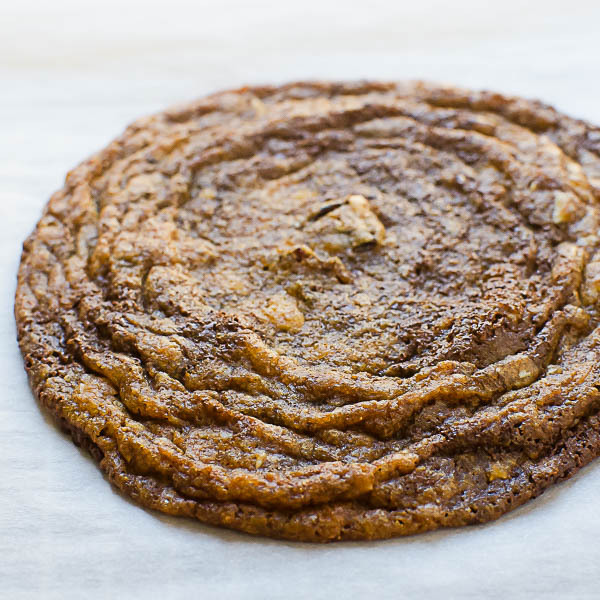 Also, I love that this recipe isn’t for a full batch – a small batch is PERFECT for us! I don’t know a kid who doesn’t enjoy a cupcake! This is an excellent example for a dessert which is made from individual favorites combined! I could eat a whole batch of these cupcakes right now. Seriously. It’s been one of these days. And these look like just the right thing to ease my pain! 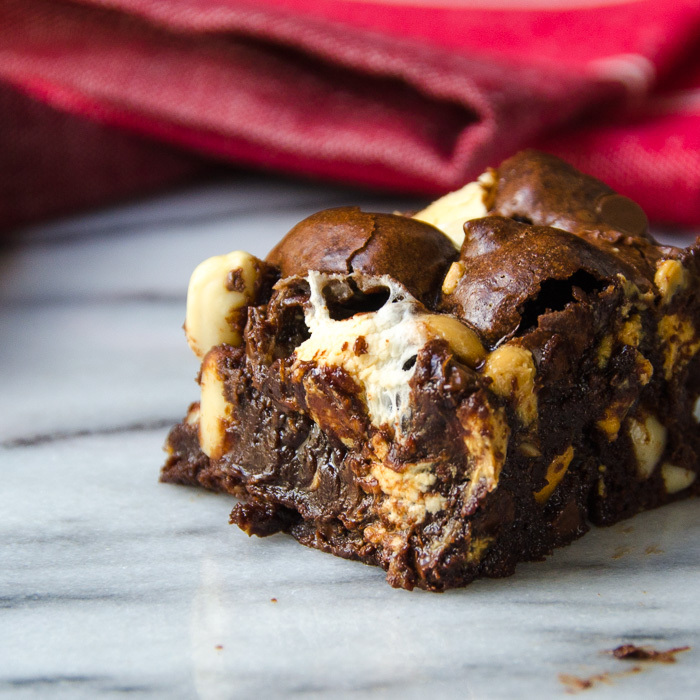 I need to make a batch of these asap! You can’t beat chocolate and caramel!